We are going to update the timetables by 25th May 2019. You can cross Lake Como by car ferry or by boat (see red lines on the digital map). This is not just to cut out stretches of riding that would otherwise get pretty samey, but also because the boats are a good way to see the lake: many of the grand lakeside villas were designed to be seen from the lake, and there may not be very much to see from the road. The car ferries have plenty of space for bikes, but on the smaller boats there’s a limited amount of deck space. Generally this should be fine unless you’re planning to travel in a big group. Expecially during the summer period are garanteed frequent connections by motorships among the villages and towns on the shore of Lake Como. 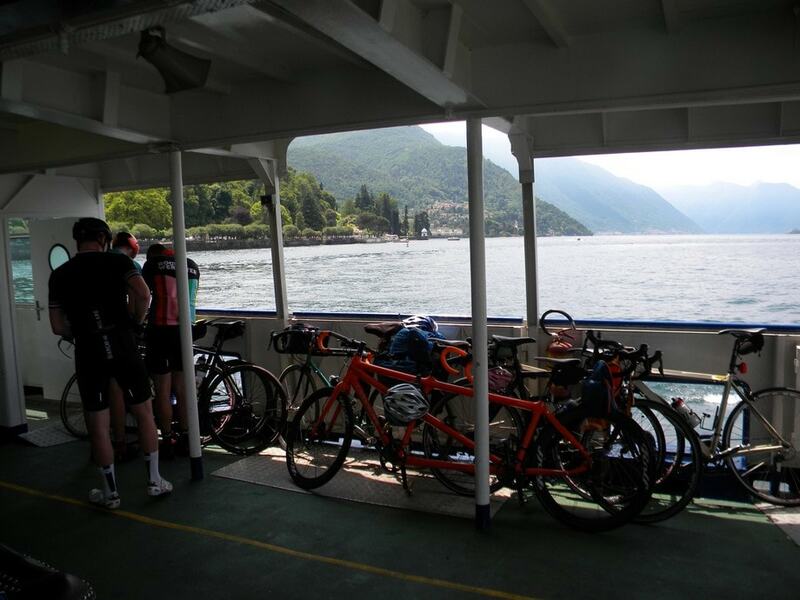 The transport of bikes and vehicles is garanteed for crossing the lake by ferry boat among the village of Menaggio, Varenna, Cadenabbia and Bellagio, where Madonna del Ghisallo climb starts between the two branches of Lake Como. Cycling around the perimeter of Lake Como is a classic ride that will give any cyclist a great sense of accomplishment. The ride around the lake is 160km long and is relatively flat. There are a few undulating sections and a few tunnels, but you can avoid them by going on back roads. The ride takes you through all of Lake Como's lakeside towns. Probably the ideal time to cycle around Lake Como is in May, June, September and October outside the main tourist season when the lakeside roads should be quieter and the temperatures are better. The quality of the roads around Lake Como are generally good. The main road that goes around the lake it's narrow and it can be quite busy with traffic, particularly around Como, Lecco, and Menaggio. However as soon as you get off the main road into the hills, the traffic reduces and you will find the roads to be quiet. The lake road around Lake Como is typically narrower than around Lake Maggiore.